Social media is a great way to grow your irrigation contracting business. It’s digital word of mouth, and it works. Connect with sales prospects and current customers through your social media platforms. Here’s what you need to know. If you own a contracting business that includes sprinkler system installation, maintenance and repair, you need to be online. A digital presence consists of a website and social media. Because you want to grow your business, and the way to grow your business is by using social media marketing. Social media marketing includes blogs and social media channels, such as LinkedIn, Facebook, Pinterest, Twitter and Instagram as well as other social media channels. You probably use social media to keep up with different companies, sports teams and local events. You can take your experience and apply it to your business’s social media presence too. Save Time on the Job Incorporating K-Rain Products. So, if you use social media in your life, you’re already familiar with how it works and how different companies draw attention to their businesses. You can use the same techniques to gain followers and engage your sales prospects. 1. You need to have an online presence in today’s world if you want to succeed in business. So, you need to budget how much you can spend to get a website up and running. If you’re running on a shoestring budget, there are web development companies you can use, such as Wix, to get a free website. Yet, you’ll want to create a marketing budget so you can eventually hire a web developer to create a professional website for you. You need to plan how much you’re going to blog and which social media platforms you’re going to join. Go slow at first until you find your rhythm. Just stay consistent—even during your busy season. 2. Set up your social media account on platforms where your ideal customers hang out. What’s an ideal customer? The type of person who hires you to install and maintain their irrigation systems. Discover where these types of customers hang out on social media. For example, if your ideal client is active on Facebook, then you need to set up a business page on Facebook and post updates that will attract him or her (and others like them) to your company page. 3. You need to create a social media plan: Keep this part simple if you’re new to social media. You can take key points from your blog or answers to FAQs and post them on your social media platform. Generate interest on your social media page by posting information that’s relevant to your ideal customer. For example, if drought is persistent in your area, you can share ideas on how to use native plants and other drought-related gardening tips. It doesn’t always have to be about specifically about sprinkler systems. It’s also a good idea to add some coupons or certain percentage off of your products or services. You can do this as a flash sale. The first 10 people to respond to your post get 25% off their first sprinkler system maintenance or something similar. Write down these ideas as well as when you’re going to post throughout the week. Eventually, you’ll get into a routine and will get feedback from your followers. So, you’ll be able to tweak what you post and how often you post as your audience grows. Learn more: How to Become a Certified Irrigation Contractor. 4. You need to be an expert and authentic at the same time: You need to know your stuff and be able to communicate it in a way that garners your followers to trust you. Don’t exaggerate any claims or lie. Tell the truth. Your audience will be able to sniff a phony a mile away. It’s also a good idea to stay away from politics and other divisive issues that could start an online argument. Online battles are not the best way to market your business. 5. What you should post on your social media platforms: Always be professional and friendly when posting and engaging with your followers. You can upload pictures of you working on a lawn sprinkler or an irrigation system you installed. You can take a video of a challenging property and post it. Just make sure you get the property manager or homeowner’s permission first. 6. Invite your followers to comment: If there’s a local issue involving firescaping, drought or any other hot topic issues, share your knowledge, news clips and additional information to get people to share, comment and like your posts. For example, if your ideal clients are property managers, you can share newsworthy LinkedIn articles or other online articles concerning their properties. Topics, such as healthy commercial lawns and landscaping a restaurant entrance, benefit your followers because you’re addressing the challenges they face every day. Learn more digital marketing tips in this blog post. 7. You don’t have to be on every social media platform: Again, only belong to platforms where your ideal clients are but don’t feel you need to belong to every social media channel. You only need to belong to a few to get followers. For example, homeowners generally belong to Facebook, Instagram and Pinterest to name a few. Property managers are usually on LinkedIn and Twitter. So, choose the social media channels that will benefit you the most. You also want to consider getting an account on Houzz so your clients can see examples of your work—especially if you also have a landscaping or hardscaping side to your irrigation contracting business. 8. 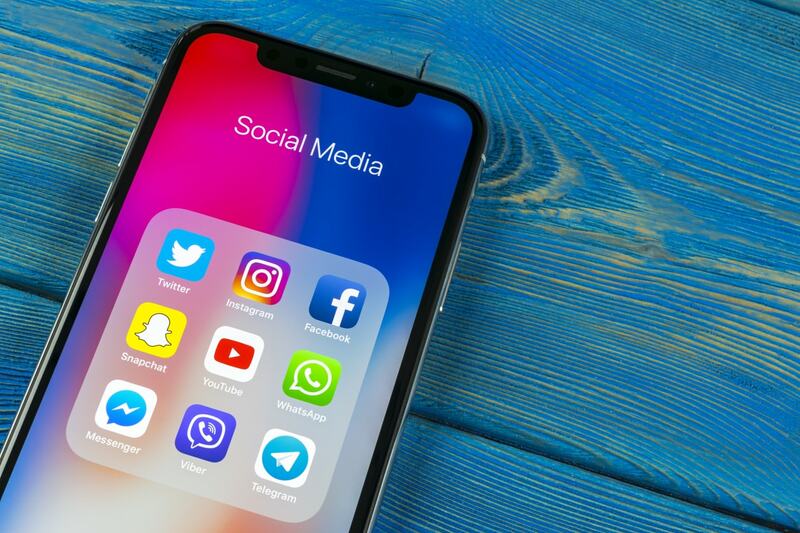 Consider social media advertising: Once you get a decent following and you have folks interacting with you, consider investing in social media advertising. Facebook is inexpensive to run a short ad for a few days to a week. Other social media outlets can fit into your budget too. If social media advertising is out of your wheelhouse, hire a social media expert or a digital marketing company to help you with your social media advertising campaigns. When you join K-Rain’s Premier Contractor Program, you earn rewards for every K-Rain purchase you make. And these loyalty rewards allow you access to marketing materials—including online marketing tools. In addition to marketing materials, you’ll build your contracting brand as well as belonging to an irrigation system manufacturer that’s well known on social media. You can learn more about our Premier Contractor Program on our Premier Contractor website. If you’re ready to join K-Rain’s Premier Contractor Program, you can register here.